Thanks to everyone who made it out to our Halloween Costume contest. We are party yoga animals. The contest for the 60 minute Thai Massage was a complete draw! Between Sahtiya’s “School to Prison Pipeline Outfit”, Alaric’s “Roman Toga” and Lisa’s “Pink Bunny Hat”. All of your accounts have been updated on Mind Body for a 30 minute massage with Kelly Zimmerman. Enjoy!! Zin & Zen Fall Pictures, Only Two More Dates Left! 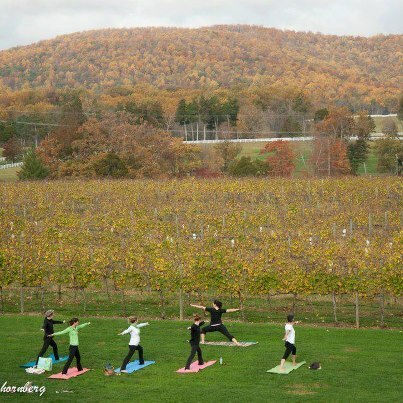 Weather Clause: Depending on the weather the yoga class maybe held at our studio (or replaced with a “yoga jog” or other cooler weather workout) and then we will carpool to the vineyard for the tasting! These yoga/workouts will have a higher intensity due to cooler weather. In extreme weather will will move the event indoors. Expect “Yoga Jogs”, wine cellar meditations or indoor yoga classes. 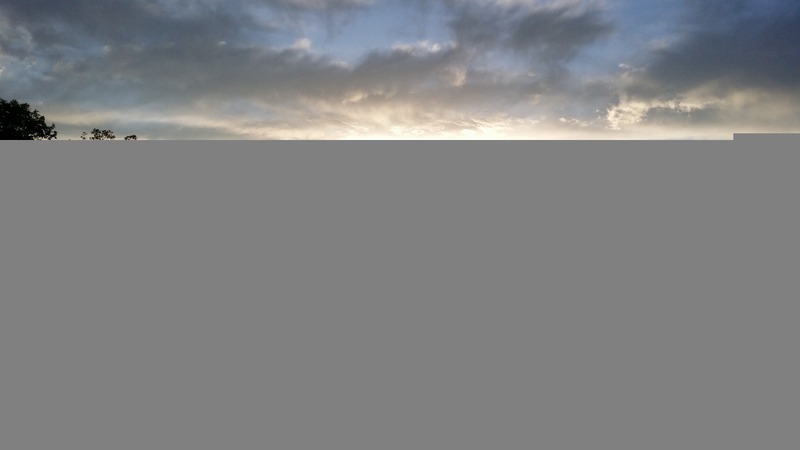 Strength Flow, Inversions, and Restorative Inversions for Health! $20/session or Free! for Unlimited Members. Other students can use your rewards points for $10 off for you or a friend! We are honored to host this series of teachings on “From Mindfulness to Peace” with Venerable Tenzin Gephel, a Buddhist monk from the Geluk-pa lineage, the same lineage as His Holiness the Dalai Lama and the resident teacher of the local Jefferson Tibetan Society. 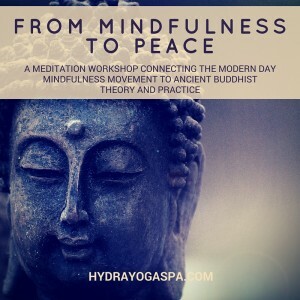 This will be an amazing teaching, connecting the modern day Mindfulness movement to ancient Buddhist theory and practice. This will be a great start for beginners in meditation and will add a lot of insight for intermediate practitioners of meditation. The workshop will has been postponed but we hope to announce new dates soon! Hydra Yoga Spa has a unique program which is ideal for beginning students. This package offers new students 20 days for only $20 AND one free workshop a month! While we have some classes which are “easier” and some that are “harder” all our classes are open and manageable for beginning students. Small class sizes and super positive instructors make Hydra Yoga Spa the ideal place to forge a consistent practice which will last a life time. Small class sizes mean we can only accept 5 new beginners each month. So if you’re interested register on MindBody today! Once a month Hydra holds a workshop just for beginners! Ask questions about postures, understand modifications, learn to meditate, discuss diet (no pressure) and learn about your unique energetic body type or “dosha”. This quick check is integral to setting you on the right path of strength and healing in your asana practice but is not required for beginners. Come if you can or just enjoy the classes! 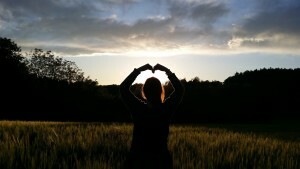 Zin & Zen: Local Wine and Vinyasa Spring Series! We are very excited to announce the Spring 2016 series of Zin & Zen. This series will be held on Saturdays beginning April 16th and we will be meeting at local wineries for a 60 minute gentle, outdoor Vinyasa practice led by Margaret Stella. Immediately following the practice we will sample some local wine. $20 per class. Free for unlimited members. Please arrive 15 minutes prior to the start of class. Should there be rain or cold Warm Gentle Vinyasa will be held in beautiful yoga studio located in the Glass building in downtown Charlottesville (313 SE 2nd St) and carpool to the vineyards. Regular carpool may also be available from this location. To register please click here. If you have any questions please Contact Us. We look forward to seeing you in the vineyard! We are excited to announce Sister Mukti will be teaching our last two Meditative Vinyasa classes on January 24th and 31st! Sister Mukti joins us all the way from Yogaville, the Satchindanda Ashram, in Buckingham. Intergal Yoga is a worldwide community which focuses on the full expression of the form, energetic and physical. Sister Mukti’s unique style integrates her training as a dancer in central California. If you are especially interested in Yogaville or Meditative Vinyasa OR if you just want some gentle-stretch-flow make it to your mat with us Saturday, January 24th and 31st at 10:00am. Saturday 10:00am classes are now “drop in”. We are teaching in the big room! 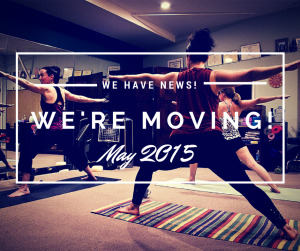 Some additional Spiritual Yoga news! The Monks of Ganden Sharts are being hosted in our larger yoga room, the Divine Play space, this Tuesday, Jan. 13th and Thursday, Jan. 15th from 6:00 – 7:30pm. They are presenting two lectures on Insight and Compassion. This means we will be in our smaller space in Suite 211 for those dates. If you are interested in making a donation to the “Tibetan Monk Tour” Hydra Yoga Spa will write you a Spa Gift Card for yourself or a friend for half of your donation. 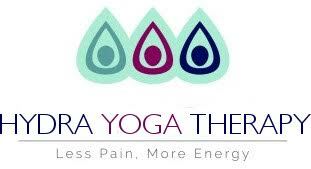 Donate $40.00, receive a $20.00 gift card to Hydra Yoga Spa. Leave a check for Kelly or you can donate directly to the monks through their PayPal account.